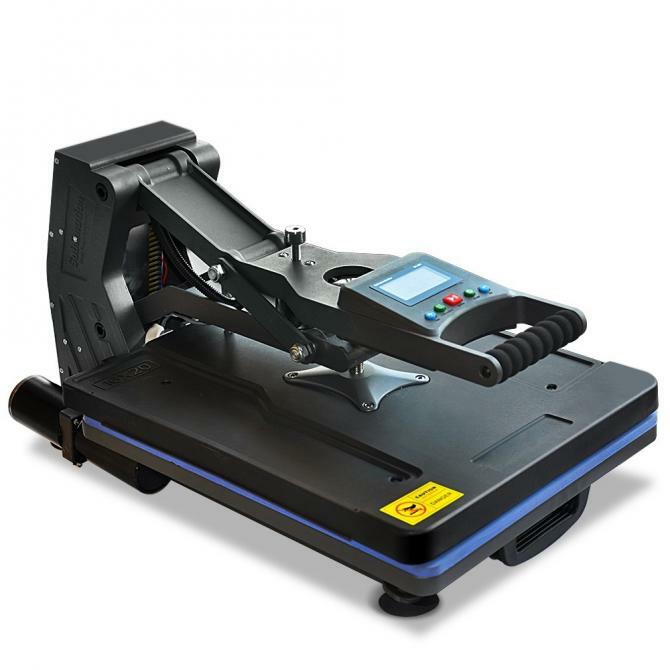 The Freesub Pro Hydraulic Flatbed Heat press is our premium press of the Freesub press range. It has a bed size of 40 x 50cm which is on a draw for safe and easy operation. The intelligent LED data control makes for easy programming and also gives you 6 presets to easily recall your favourite settings. At the end of the cooking cycle the electromagnetic lock releases allowing the press to open automatically. The additional hydraulic pump gives you nine pressure settings between 1Kg and 1,500Kg which automatically regulates the pressure during the cooking cycle with no need for an external airline.